The post Nursing and Business: A Healthy Combo appeared first on Duke Master of Management Studies Student Blog. Before coming to Fuqua, I worked as a registered nurse on the Child and Adolescent Psychiatric Unit at Mott Children’s Hospital in Ann Arbor, Michigan. While working as a floor nurse at Mott, I began reading about health care innovation and reform. I noticed that rarely, if ever, was a nurse mentioned in the discussions. This was particularly troubling to me since so many of the kids I was caring for were affected by health care system changes in one way or another. I knew that if I wanted to be included in the conversations about health care, understanding the business side of it would give me valuable insights. While applying to graduate school, I was looking for a program that could introduce me to the core concepts of business and give me the tools to apply them in real-life problems, which is why I chose this program at Duke. Academically, nurses are taught how to evaluate scientific articles, the applications of scientific methods, and health care delivery in the U.S. and abroad. As a student nurse, we participate in clinical rotations working with a variety of patients, in the hospital and community, ranging from newborn babies to critically ill adult patients. During a leadership course, I worked with a nurse manager to implement unit-wide leadership rounds in order to improve patient satisfaction scores. During a community health rotation, I worked with a team in partnership with the Michigan Department of Health and Human Services to improve lead poisoning education for those affected by the Flint water crisis. Typically, nursing students have a strong foundation of health knowledge, but we also know how to implement the skills and quality improvement techniques we learn. As a nurse, we see a different side of health care—we care for patients from a holistic point of view. Arguably, no one spends more time at the bedside than nurses do. We’re taught emotional intelligence, motivational interviewing skills, and time management that is incorporated in daily care while working with the patients, the health care provider teams, and families. Improving patient care has always been collaborative, so solving health care issues should be collaborative as well. My interests in innovation and health care technology have always stemmed beyond professional nursing. During my senior year of undergrad, I took an introductory coding class on C++/Python and a course on science, technology, and public policy. These courses had a big influence in shaping the way I view the health care system. I realized even before I was a licensed nurse that there are many angles to improve health care, not just through direct patient care. My clinical experience plays a pivotal role in how I tackle health care issues. I am currently working on a mental health app for adolescents. 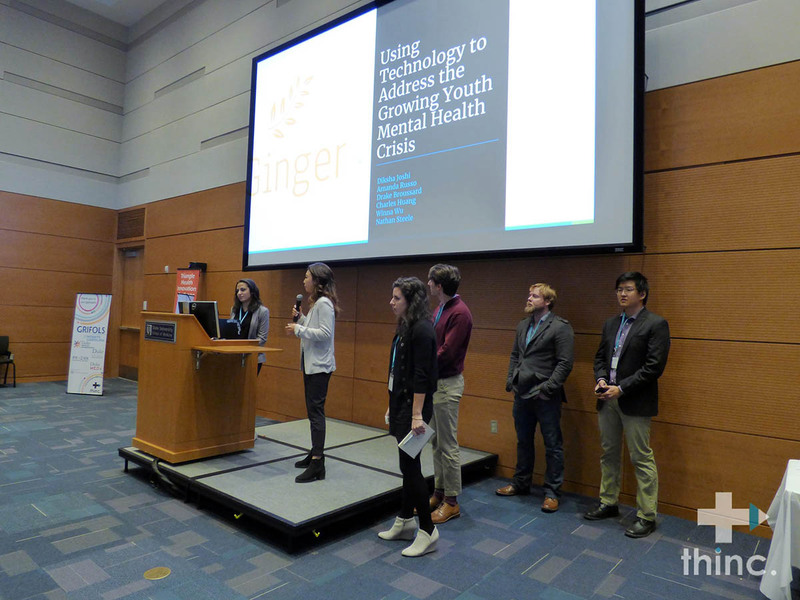 Recently, my team and I presented this idea to a panel of judges during the Triangle Health Innovation Challenge and placed second overall. My clinical experience played a role in developing the app features, while my business courses taught me market sizing, pricing strategies, and competitive analysis tools. Bringing in a clinical perspective into business school is extremely valuable. You have an interdisciplinary skillset, where you can solve business issues and understand the clinical environments in which they occur, making you an incredible asset. 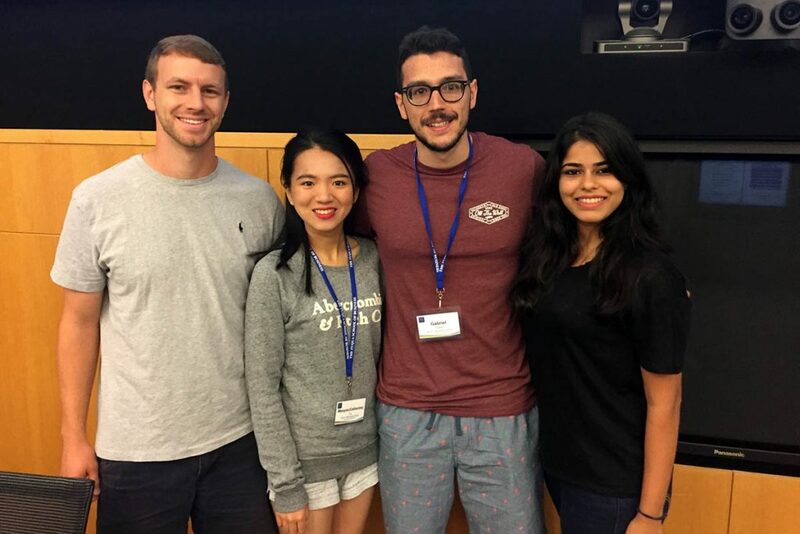 The post Off to a Good Start After International Student Bootcamp appeared first on Duke Master of Management Studies Student Blog. As an international student who was not very familiar with living in the U.S., English language and cultural differences were some of the most concerning factors for me before starting the program. However, International Student Bootcamp (ISB) helped alleviate these concerns and me get off to a good start at Fuqua. ISB is a program that welcomes international students and helps them adjust to the new educational environment at Fuqua. The program has been taught for years by faculty who have evolved the curriculum to match what MMS students need before beginning business school. ISB mainly has two different stages—a one-week program before the MMS classes begin and the ongoing process that occurs throughout the year until the end of the program. We mainly learned business communication skills from written communication (memo writing) to verbal communications (pitch, feedback, and presentation). To practice these skills, we did a mini-case study in small teams. In hindsight, as I am going through the program, I have realized that the importance of clear communication, the presence of case studies, and the ability to work well on teams are three of the most common parts of the MMS experience at Fuqua. With the early start of the ISB you can grab a quick overview of the MMS program and it helps you to be better prepared and not get so overwhelmed once you start being truly graded on your performance. Besides, you can meet other international students and become friends even before classes start, and this also lets you feel welcome and supported by each other. Even after the one week program ends, ISB students can get support and personalized learning from tutors throughout the MMS program. These tutors have taught many previous international MMS students, and I have made appointments with them to improve my communication—and sometimes simply for cultural understanding. Some of my classmates are also getting help from tutors for resume writing and interview practice. The post A New Opportunity to Be a Consultant appeared first on Duke Master of Management Studies Student Blog. One of the many unique experiential learning opportunities offered here is the Fuqua Client Consulting Practicum (FCCP). This program allows a team of students to work as consultants on a real-world problem brought to Fuqua by a local company. Once open only to MBA students, it is now being offered to MMS students who are interested in a career as a consultant, or who would simply like to gain hands-on consulting experience. My team, like others, consisted of students from different disciplines and cultures. To ensure our work was efficient and credible, we decided to assign roles to each other. Brian, a second-year MBA student, was our engagement manager and a source of incredible motivation and guidance throughout the project. Shirley Yan, from China, who graduated in film, TV, and media, was in charge of communicating with Brian. Melike, an engineer from Turkey, was the project manager and responsible for creating a schedule with assigned tasks every week. Daniel, from Puerto Rico, who majored in business, entrepreneurship, and organization, was the assignment lead, tasked with making sure all of our submissions were turned in on time. George, from Greece, who majored in accounting and finance, was our fun captain and assistant communications lead, ensuring the team had fun even when we were fatigued from following the rigorous routines and assignments. Last but not least, I served as the communications lead and helped to maintain relations on the client side as well as internally. There was a range of industries and sectors represented by the companies participating in FCCP including software, digital advertising, energy drinks, food products, medical devices, and smart home solutions for senior citizens. Almost all of these companies are based in Durham or the greater Triangle area so that it was easy for students to do a site visit and get better exposure to the client side. Our client was a local digital advertising firm that has gained popularity within the real estate sector in the Triangle area over recent years. As student consultants, we were asked to gain an understanding of the vertical markets of our client’s business model and come up with two companies with a franchise-based model that would serve as potential customers to our client. From industry to sector to sub-sector to two companies, we were successful in building a decision matrix at every step using primary and secondary research. Our primary research involved interviewing with managers. And our secondary research consisted of leveraging the insightful databases that we have access to at Fuqua in order to make educated decisions for the project. Overall, our clients were delighted with our recommendation, and we were able to learn a lot from this hands-on experience. First of all, time-management is key to success with FCCP. Being a student at Fuqua you’re already very busy, but taking on the project is easily manageable if you plan your schedule well in advance. Our FCCP classes were on Wednesdays when we don’t have regular classes scheduled, so that was a big help. This experience as a student consultant helped me strengthen essential skills for consulting such as leadership and communications. To be able to propose a recommendation that is solely driven by you and your team in an extremely collaborative environment on a problem that a live company is facing is an opportunity not to miss. I chose FCCP because I wanted to see myself working as a consultant, and having the projects solely driven by students speaks volumes about how much you can learn in the program. From preparing slides as a real and experienced consultant to meeting and maintaining relationships with clients, I saw myself growing personally and professionally. In fact, because of my FCCP experience, I am able to answer questions better in interviews or even connect with other MBA students where FCCP is a common ground. It is not always easy to manage school work and an extracurricular opportunity like this, but it is rewarding. At one point, I was leading three teams at once. Today, I look at all three of my teams and wonder if I would be missing out on my full Fuqua experience without all of them! 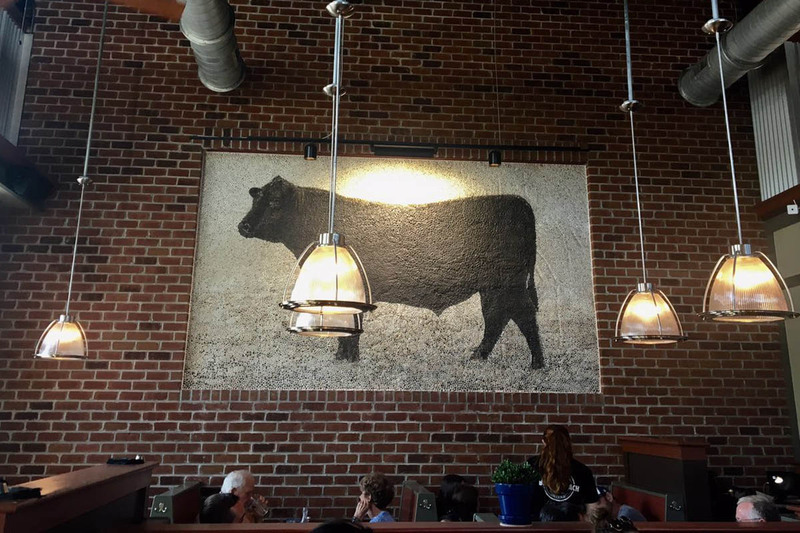 The post Take a Day Off to Relax and Explore Durham appeared first on Duke Master of Management Studies Student Blog. Life at Fuqua is usually quite challenging. We have so much work during the weekdays, including taking classes, having team meetings, and being involved in other activities. How about giving yourself a day off and just having a relaxing retreat? And rather than just staying at home and becoming a couch potato for the whole day, try to get outside and explore Durham. Here is my recommendation for how to spend a day away from the MMS grind. Waking up early on Saturday to go hiking is kind of crazy especially for an evening person like me. However, it was not until I went to Eno River State Park in Durham for the first time that I felt I made a right choice. After a short drive of about 20 minutes, you’re immersed in the natural beauty of the park. There are several hiking trails there and basically, just follow the signs and you can nail it! Spending a morning with no internet and holding a trail map to figure out the right hiking direction is definitely a fun experience. It also provides a good opportunity to get to know more about your friends in a relaxing way. Of course, the views at the park are also amazing. If you are an outdoor person, this is the place you cannot miss. After getting some morning exercise outdoors, you might feel like a bit hungry. Yes, why not? And Durham is a great place for foodies to live—there are so many good restaurants from which to choose! Elmo’s Diner is a good brunch place to try out. It’s located on the Ninth Street about two miles away from Fuqua, and it’s also on the free bus route. 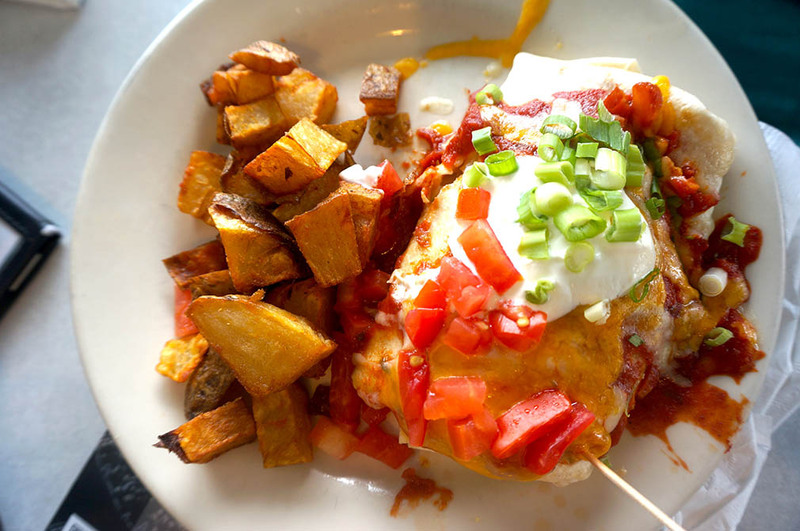 Elmo’s offers a variety of American breakfast and brunch options. French toast, blueberry pancakes, breakfast omelets, you name it. Also, remember to bring your friends there and you guys can share food together. When you see the menu, you’ll realize that you want everything and it’s hard to choose only one dish. The Ninth Street area is a collection of many of my favorite spots. 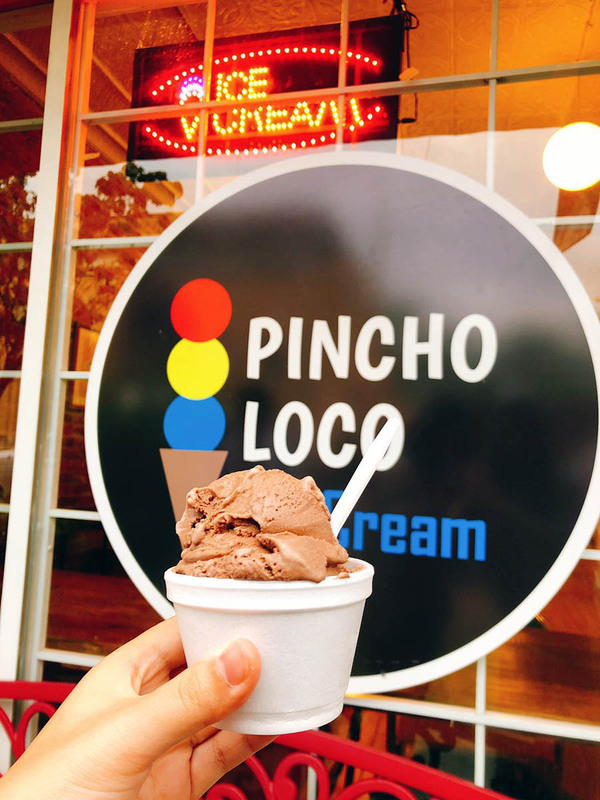 Try a new ice cream treat at Pincho Loco, enjoy the East Coast Burger at Burger Bach, or just have a night out with your friends at Juju. Having a relaxing time is the first priority for your deserved weekend time off. 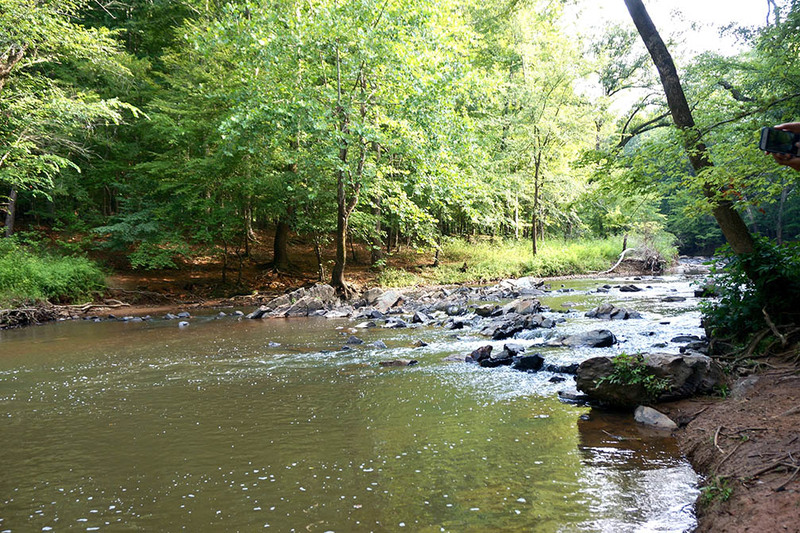 Give yourself a one day vacation and recharge while exploring your surroundings in Durham. Try a new restaurant or a new place to hang out with your friends or just do something you won’t have time to do during the weekdays. You should find yourself reenergized for the days ahead. 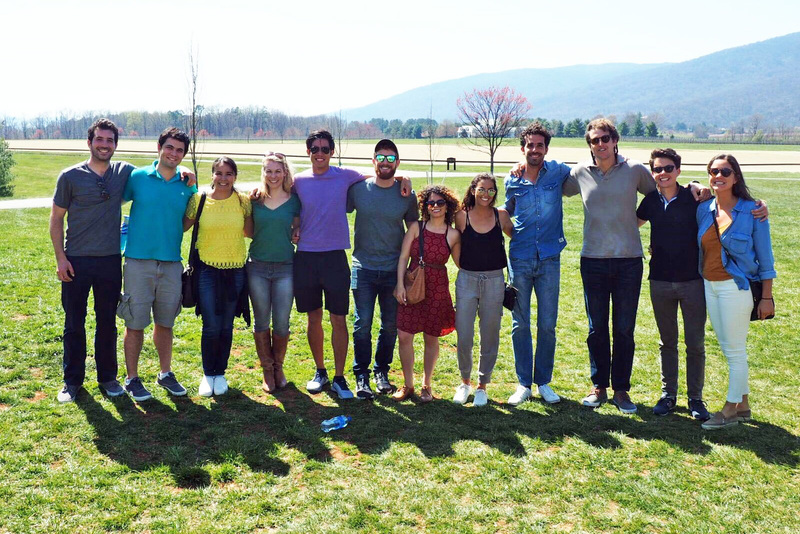 The post The Value of My Team at Fuqua appeared first on Duke Master of Management Studies Student Blog. Believe it or not, that was our first day at Fuqua. I might sound spooky, but what happened on that day was quite the opposite. Teamwork makes the dream work, as they say, and one of the best experiences at Fuqua has been its collaborative environment. It indeed is incredible how much we operate outside of our comfort zone in business school, yet the people here make me feel at home. I have connected with at least a hundred beautiful souls, a group of dedicated mentors who wish for my best, and a team of fellow students that I call my family. My first team, to which I was assigned that first day during program launch, consisted of three other very talented and bright individuals from all across the globe. Gabriel Timm, from Brazil, is passionate about finance, soccer, and Chipotle. Wenyue “Catherine” Lu, from China, dreams about being a professional chef one day. Alec Rotunda, from North Carolina, is a soccer player and has mentored and coached several teams in the U.S. and seven other countries. Four students from four separate cultures make for an interesting combination. Despite our vastly different backgrounds, two aspects kept our meetings productive and entertaining: teamwork and fun. Everyone on that squad is a team player. We worked through assignments together as a cohesive unit, and after a few months, our organization was impeccable. When completing team assignments, we often found that we had sorted ourselves into roles without even discussing it. One teammate might handle calculations, while two of us worked on qualitative problems, and another filled in our gaps. This organization happened without the need for a clear leader—each member simply recognized a need and filled it. A lot of times, we spent more than 12 consecutive hours at school with each other. Amidst solving assignments and brainstorming in the team room while sharing snacks, protein bars, and coffee, we all established a valuable bond that I hope continues beyond classrooms and schoolwork. Sure, my team was efficient. However, as much as we loved working through cases together, we also loved enjoying ourselves. From team dinners to our birthdays, meals at Fox Center to Chipotle after a long day, evenings at Fuqua Friday to nights at Shooters, practicing our speeches for Business Communications to learning each other’s native languages, cracking jokes together to cheering each other on before interviews—it was always a good time. We had our share of finance, marketing, and accounting cases but with a team like this, work is fun. No matter the task, I always look forward to our next team meeting. But every season changes and the program recently had its team changeover, so now we’re on different teams. However, that group of people will always be my first family at Fuqua. In the six months since I was sitting at program launch without a clue how drastically my life was going to change, no two days have been alike. However, my teammates and I always helped each other through it. Within my team, I grew personally and professionally in just a few months. I witnessed four cultures and disciplines unite as one. We wanted to see each other succeed—not only in terms of financial stability and jobs but also as members of society. My Fuqua experience would not be the same without my first #FuquaFamily, aka Group Chipotle. The post First Impression: This is a Special Program appeared first on Duke Master of Management Studies Student Blog. When I walked through Fuqua’s doors last July, I wasn’t completely sure what this year would hold for me. Slightly overwhelmed and incredibly nervous, I went into orientation feeling like it would the first day of freshman year 2.0 where everyone was too shy to converse. I could not have been more wrong. Everyone I spoke to felt like a friend I was catching up with after some time apart. From meeting JinJing from Shanghai, to Charles, a citizen of the UK who grew up in Canada, to Sean from New Jersey, I quickly realized this group was unlike any other I’d experienced during my undergraduate studies at Duke. The diversity of the cohort was obvious from the start, and the conversations were novel and exciting. I realized this is a special program. The first term coursework was academically challenging, quickly pushing me out of my public policy comfort zone from undergrad. In Quantitative Business Analysis, it was all about regression and statistics. Introduction to Financial Accounting had its financial statements and intense footnotes. And in Business Communication, we were required to prepare and deliver a three-minute speech on the first day of class. While it was hard and frustrating at times, I had a strong support system to rely on. I’ve found everyone truly has the #TeamFuqua spirit. The faculty and support staff only want the best for the students, and my cohort themselves are willing to drop everything to help you learn and firmly grasp the material. The students in the MMS program are supported from all angles. It’s a completely immersive experience. I came to Fuqua with certain expectations after my time as an undergrad at Duke. However, I found the transition to be a big one. Gone were the days of walking across the quad to my 8:30 a.m. classes and waking up for 7:00 a.m. course registration. My undergraduate experience was filled with hours on the lacrosse field and nights spent in Perkins Library surrounded by unfamiliar faces. At Fuqua, I come to class knowing every individual in the seats that surround me, which gives me the confidence to fully participate and engage in conversation. Outside of the classroom, our student association leaders work tirelessly to provide us with events that give us a beneficial outlet. 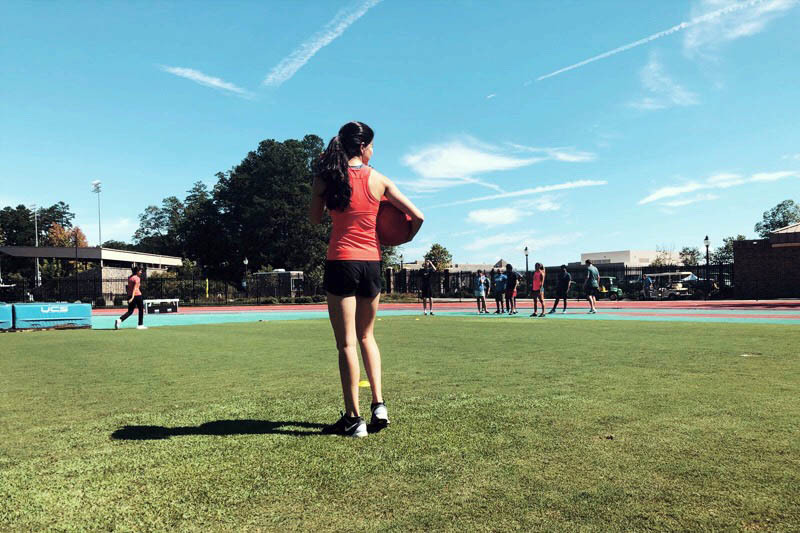 During Fall Term I, there was a kickball game held by our wellness chair that was three hours of nostalgic fun. I felt like I was back in elementary school, without a care in the world other than trying to make it to second base without being tagged out. Another opportunity we have to get to know our cohort is the bi-weekly cultural potlucks, hosted by our class president, that involve food from our classmates’ respective cultures. When I talk to those who aren’t in the program with me, I try to find the right words to explain my experience thus far. However, there really is no way to accurately encapsulate what I am a part of. A team atmosphere filled with individuals driven to master classroom topics with a yearning to learn about their fellow classmates and explore and experience opportunities within and outside Fuqua’s walls. It is truly a unique place, one that I am proud and honored to be a part of. Fast forward from July to January—I find myself feeling empowered and incredibly grateful for my time in the program so far. From surviving the summer and fall terms, to branching out and meeting new people, to attending different social and career events, I’m completely immersed in something bigger than myself. In a few short months, I’ve found myself surrounded by some of the most talented, interesting, kind, and intelligent individuals I’ve ever met. I’m in an unmatched atmosphere that places an importance on academics, relationships, and our futures. And when I leave the building at the end of each day, I’m always excited to see what tomorrow will hold. The post Our 25 Random Things appeared first on Duke Master of Management Studies Student Blog. The “25 Random Things About Yourself” essay—it’s become a hallmark of Fuqua’s application. Admissions provided some great tips on how to approach it, and we wanted to share some of our ‘random things’ in case they provide inspiration for your own list. My hair is so curly that when I was little, a stranger yelled at my mom for giving me a perm. She didn’t. My dreams of becoming a classical oboist were dashed when my middle school band teacher forced me to play the French horn instead. I have lived above my favorite sushi restaurant for two years. At least every other week, I order sushi for carry out and go downstairs to get it. Despite my frequent patronage, they still manage to get my order wrong more often than not. After going a little caffeine-crazy during my first job at a coffee shop, I have not enjoyed the taste of coffee much since. My drink of choice varies between drinks with white espresso, chai, or tea of any kind. I love horses so much that my farm-raised mother, who swore she would never set foot in a barn again, took me to my horseback riding lessons every week from when I was six years old until I could drive myself. I have great talent in imitating people’s voice. My imitation of my Thail boss speaking English always made my colleagues laugh. I love taking challenges. To overcome my fear of public speaking, I attended the English public speaking competition at my college and faced the audience of over 300 people. After that, I no longer feared making presentations to the public. Last winter I helped my friend keep her cat for 18 days. Okay, actually it was an 18-day fight with this cat who always jumped up and down and messed up my whole room. But I still miss the time having her gently lying beside me on the bed. These 18 nights are all sweet memories to me no matter how naughty she was in the daytime. My favorite actress is Arial (Yichen) Lin from Taiwan. I appreciated her courage to study abroad in the U.K. at the peak of her career. She gives me courage to always follow my heart and not care about others’ judgment. I ran a 5K marathon for the first time in the Seoul Women’s Marathon in May this year. After the marathon, I added triathlon to my bucket list. Since I am already a lover of swimming, I will work on cycling and running, and try a triathlon one day. I love string instruments and enjoy playing the violin, ukulele, and guitar. At my undergraduate school, I played first and second violin the in orchestra for three years as a hobby. I love the sound of string instruments because they sound warm in general. I love watching female lead movies such as “Miss Sloane,” “Ocean’s 8,” and “Suffragette.” Whenever such movies come out, I try to go to a theater to see them with my friends. I got lost while heading to Montauk, east of New York, to see the sunrise on New Year’s day. My friends and I had to wait for a train at a very dimly lit station, outside in the dark and freezing weather and failed to see the sunrise that day. However, this happening changed me into a positive person thanks to my positive friend. Three months later, we made the trip. I love all kinds of noodles and pastas. Among them, my favorite is my grandmother’s homemade noodles. Imagine a professor, a psychology major, an artist, an engineer, and an entrepreneur under one roof. For some, this may seem like an eclectic mix, but this is what exactly my family is. Of all adventure sports I have tried, hiking is my favorite. I have reached an altitude of 16,500 feet above sea level, which is higher than the fourth highest mountain in the U.S., at the age of 16. I have a particular interest for physical maps. I have saved physical maps of most places I’ve been. I love exploring new areas in an old-school fashion. I prefer hot chocolate over coffee any day. You will often find me doing something outdoorsy. Most frequently this includes watching beautiful skies and star-gazing. My favorite places to eat in Durham would be NanaTaco for lunch, Gonza Taco for dinner, and Cosmic Cantina for late night food—notice a theme? My favorite thing to do on a rainy day is watch old musicals and dig into a pint of Ben and Jerry’s Brownie Core ice cream. In undergrad, I was a member of the Duke Women’s Lacrosse team. 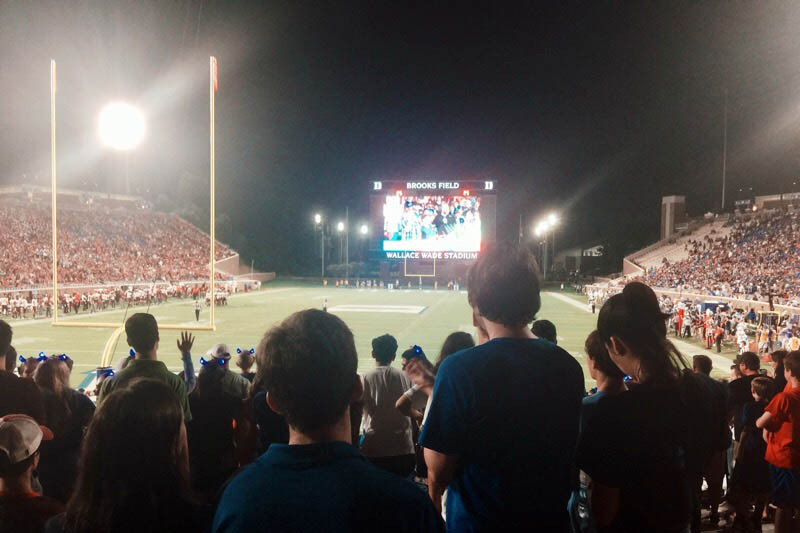 The post My Home Away From Home in Durham appeared first on Duke Master of Management Studies Student Blog. Moving to Durham was one of the most nerve-wracking adventures I’ve ever undertaken. And if you’ve been admitted, chances are you’re feeling that gut-tingling mixture of nervousness and excitement too. Moving somewhere new can be daunting, but the key to overcoming your fears is finding a few fantastic places where you feel at home. In order to help get you started, I’ve compiled a list of my own favorite places that I’ve discovered here in Durham. 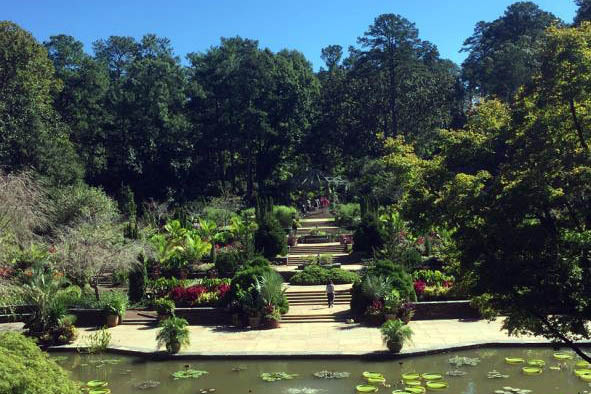 I have always loved the outdoors, especially flowers, so it should come as no surprise that the first amazing place I discovered here at Duke was Duke Gardens. My discovery of these gardens was a happy accident; the serendipitous result of a classmate’s invitation to explore the Duke University campus. The garden is filled with extraordinary flowers, bridges, and landscapes that I would not have imagined to be so close to the school. Its grounds reminded me of home and helped ease my fears of fitting in at Fuqua. Today, I make it a point to stop by as often as possible and say hello to every dog that walks by. Speaking of walking, my next spot is just a few short minutes from not only Fuqua, but from many of the apartments that Fuqua students tend to live in as well. 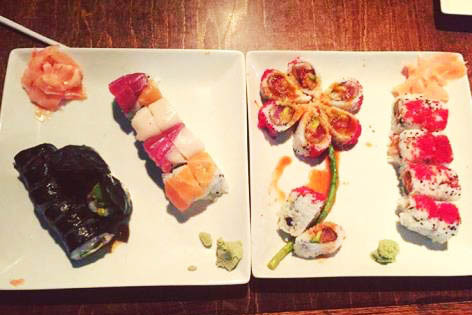 Sushi Love is by far my favorite sushi place I’ve come across in Durham. For those of you who don’t like sushi or are apprehensive about eating raw fish, not to worry! Sushi Love has much more to offer than its name alludes to. The restaurant’s prices are extremely student budget-friendly and I must admit, I eat here far more often than I probably should. All in all, there is no downside to Sushi Love and I would recommend it to sushi lovers and non-lovers alike. The final spot I will share with you is actually two places. I’ve decided to combine them because they are both bars and they happen to be right across the street from one another. The first of these places is called Bar Virgile and it’s located in downtown Durham. This bar may be small, but it’s packed with charm! One look at the brick interior will send you back in time to the speakeasies of the 1920s. 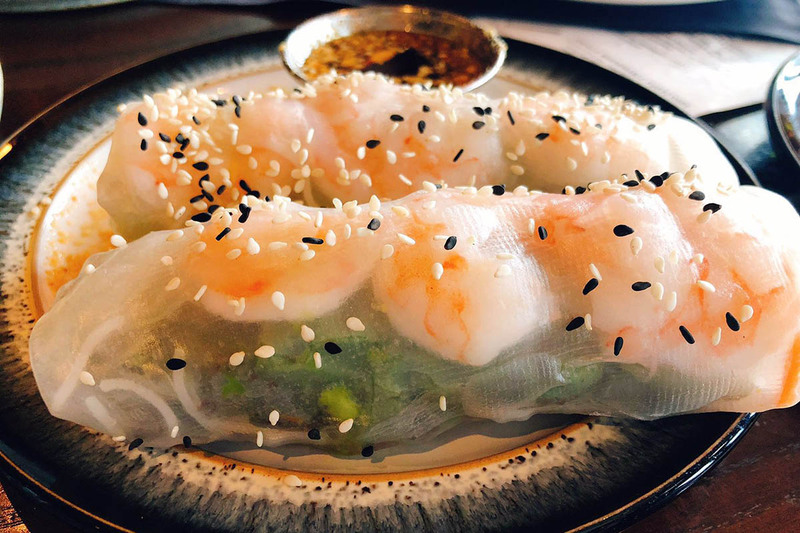 The staff is incredibly friendly and they even have some small plates to share with friends. This bar is more upscale than some of the others you’ll find closer to campus, but the trip is definitely worth it and their frozen mojitos are fantastic! The second place is Quarter Horse Bar & Arcade. This magical place happens to host the city’s most extensive video game selection. Their pinball offerings are especially impressive. Even if you aren’t typically a fan of video games, this bar is a must-see. Many of the games are free and the ones that you do need to pay for are usually only 50 cents. They have a decent selection of beer and even have signature cocktails with clever names that are references to video games like “Dungeon Master.” If you are an avid video game lover or are just looking for a change in pace from the typical nightlife, Quarter Horse is the place for you. It may seem unlikely at first, but after a while, Duke and the Durham community will begin to feel like home. I didn’t expect to fit into this city or to feel the comradery I’ve experienced during my time here so soon. I found my home at Duke unexpectedly, and so will you. All you need to do is embrace a new adventure. The post 8 Things International Students Can Do Before Moving to Durham appeared first on Duke Master of Management Studies Student Blog. Congratulations! You’ve been admitted by Fuqua and now you’re probably wondering what your next step should be. As an international student, moving to another country can be exciting but overwhelming! Here are some things that you can take care of before moving to Durham to make your arrival easier. Bring the I-20 issued by Duke—it should be sent to you a couple of months before school begins in July—to the U.S. Embassy in your country to get your visa. Get your vaccination record and check and see if you have completed Duke’s immunization requirements prior to your arrival on campus. The Heights at Lasalle, The Belmont, and the Lofts at Lakeview are the most common apartment locations where MMS students choose to live. With a 20-minute walk or 5-minute drive, you’ll be able to get to Fuqua from these places. Additionally, living close to your classmates makes it easier for you to meet with your team for group discussions. These apartments are in high demand, so make sure you get on the waitlist as soon as possible! Once you’ve found out where you’re living, search and contact Duke Energy for your electrical needs and Spectrum for internet. But check with your apartment complex first for guidance in case it has specific requirements or a special package for residents. If you’re coming in from Raleigh-Durham International Airport, the fastest way to get to Durham can be to use Uber or Lyft. Make sure you have access to the Internet and those ridesharing apps on your phone and you’ll be all set. If you don’t already own business attire, there’s always Southpoint Mall that’s only a 15-minute drive from Fuqua. Duke List and the “Fuqua for Sale” Facebook group are some good places to look for used furniture. Of course, you can always order new ones online and have them delivered to your door upon your arrival. The to-do list should be mailed to you with your acceptance packet. It’s very important to follow it and the guidance of the Admissions department. And one final thing—try to connect with other incoming students before arriving at Duke. Moving and adapting to another country is a lot easier when you have friends by your side from the beginning! 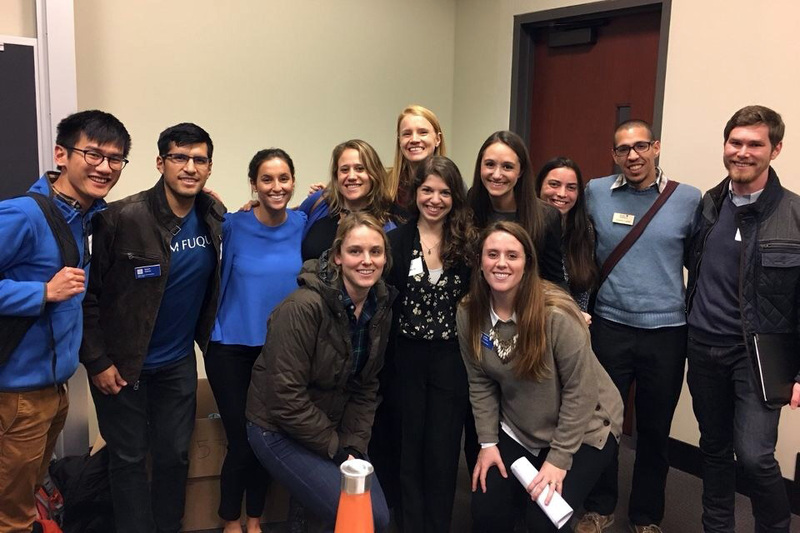 The post Clubs at Fuqua: A Great Match for My Interests appeared first on Duke Master of Management Studies Student Blog. When reflecting on my time in the MMS program, there is no doubt that my involvement with the Daytime MBA clubs at Fuqua shaped a major part of my experience. After being in the ‘real world’ for a few years working at food and beverage companies, I relished the opportunity to be back in an academic environment, surrounded by a community that facilitated interactions among like-minded peers. My interest in the food space blossomed during undergrad, when I studied nutrition and public health and gained some volunteer and research experiences. I wanted to use my MMS education to gain foundational business knowledge to go back and apply to the food industry. I knew that the Food & Agriculture Club would be a good vehicle for meeting other students with similar interests, most of whom had more experience than me and would be great sources of knowledge and connectors in the industry. I attended the initial meeting, where students were encouraged to apply for leadership positions, but I found out that only MBAs were eligible for them. I approached the president afterward and asked if there was any way I could get involved as an MMS student. As a result, the MMS representative position was created. As MMS representative, my primary goal was to serve as a liaison between MMS and MBA students, encourage MMS students to get involved and promote the club’s various activities. In addition, I had a voice at every cabinet meeting and was able to aid in the curriculum design for our events and workshops. These included a joint event with the Wine Club at a local organic wine bar, a panel discussion on the future of food, and a workshop aiming to help prepare first-year MBAs for their summer internships in the food space. One of the workshop case studies even led me to my current position! Although many members of the club have graduated, our GroupMe is still active—where we share relevant articles and documentaries—and the new leadership team keeps us up-to-date on happenings for the coming year. In addition to the Food & Ag Club, I was also involved in the Tennis Club. I attended weekly practices, had the opportunity to represent Fuqua when we played against UNC Kenan-Flagler, and was a part of the inaugural Darden Cup, a joint tennis tournament between Duke’s Fuqua, UVA’s Darden, and Dartmouth’s Tuck business schools. Interacting with MBAs in a setting outside of the school environment helped facilitate a deeper relationship amongst our programs. When it came down to choosing between jobs at the end of the school year, my MBA friends were instrumental in assessing all of my opportunities and guiding me towards the best decision. All in all, my involvement with clubs at Fuqua connected me with a network of like-minded individuals, allowed me to gain lifelong friends and mentors, and helped develop a relationship between the different programs to build a stronger, more unified Fuqua family.